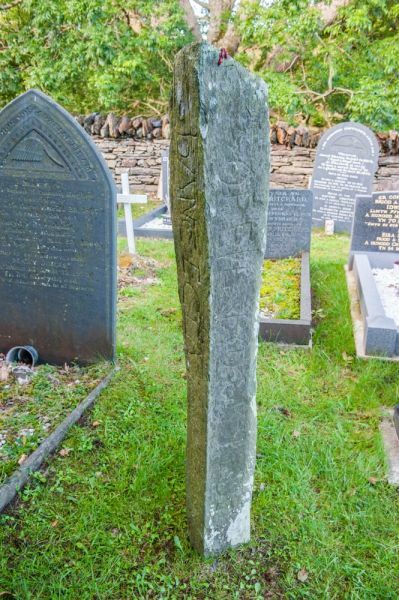 Outside the west door of St Michael's church in the small village of Ynys stands a carved stone, erected sometime in the mid 12th century. The stone stands about 6 feet high and is carved with a Latin inscription reading 'Hoc est sepulchrum Will. Dermae de Deler, qui primus aedificavit hanc Ecclesiam, in tempore Ewini Regis'. 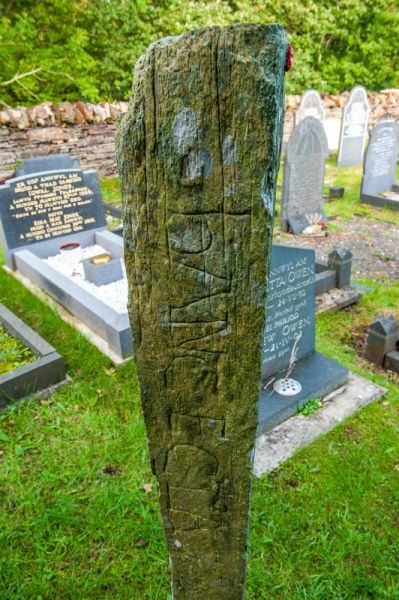 The inscription translates as 'Here is the grave of Wledr mother of Hoedliw who first built this church in the time of King Owain Gwynedd'. 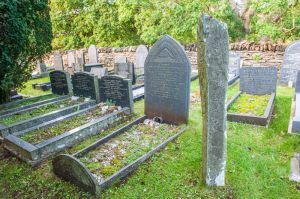 Owain Gwynedd reigned from about 1137 to 1170, so this gives us a very good idea of when the church was established. 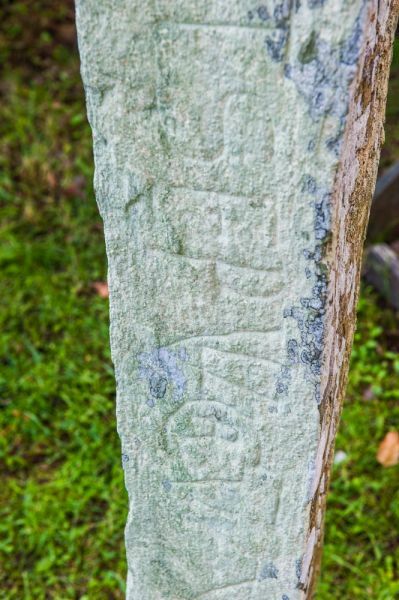 The carved stone is squared off, flat on each slender side, about 0.15-0.2m wide. St Michael's is set on a high rise, overlooking beautiful countryside. To the west, the land slopes away to the Dwyryd estuary. 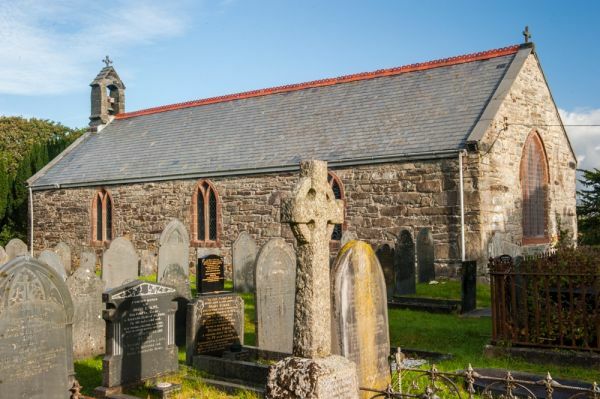 The name Llanfihangel-y-Traethau translates as "St Michael's on the Shores', for at the time it was founded, the church would have stood on a rocky islet, surrounded by marshes. It was not until the late Middle Ages that the tide receded, leaving Ynys church well inland.